Yes, I believe that I took advantage of the FREE shirts from Warrior Poet Clothes the last time they have their Spring Cleaning Giveaway. Well, I am glad I did, now I have enough new shirts for my little man until he outgrown the clothes I bought for him. 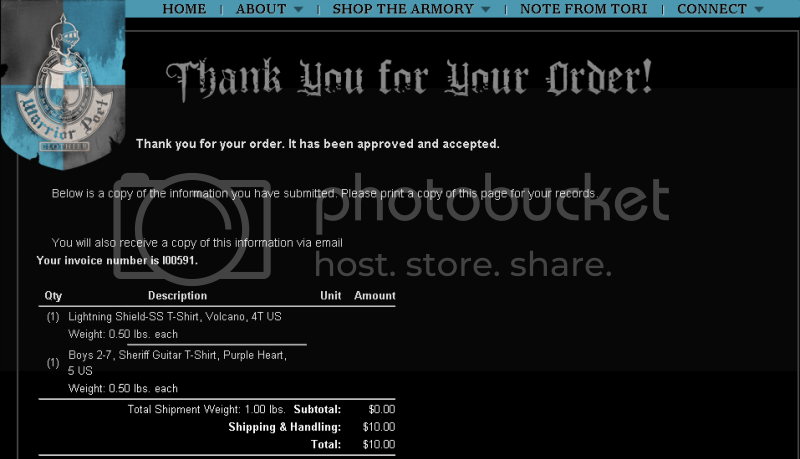 As a proof, I only paid shipping and handling for the each shirts and I'm happy to get the deal. Now, I have receive the additional clothing in the mail.